In late 2012, I posted tracks found in South America. 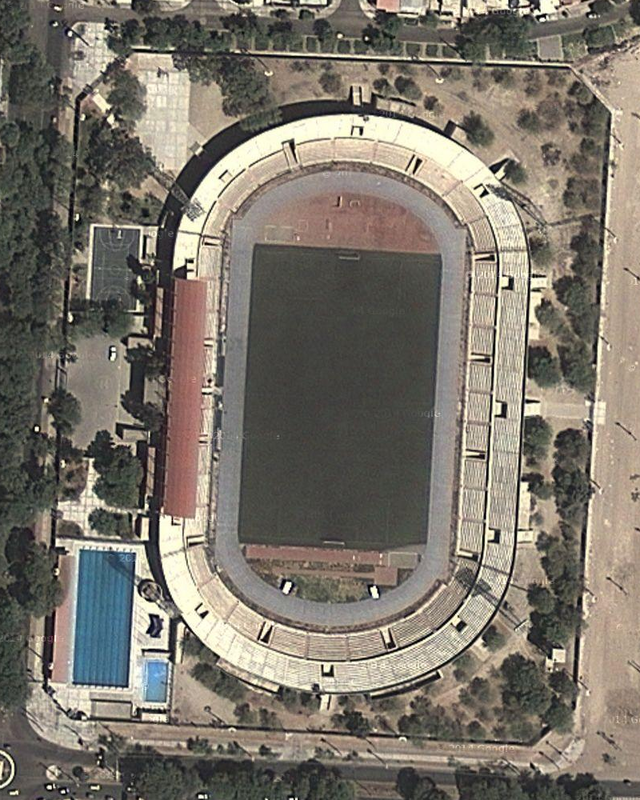 In my searching I discovered several countries that have numerous stadiums with really nice tracks. I have always intended to revisit this countries and post the tracks I skipped over the first time. Today I’m going to do that, starting with Peru and the track at Estadio Miguel Grau. This is an older stadium that opened in 1958. It has undergone several renovations over the years, with the most recent one occurring in 2009, when they installed the new blue track surface, and red D-zones and runways. It is a 6-lane track, and is used for both competitions and for practice.